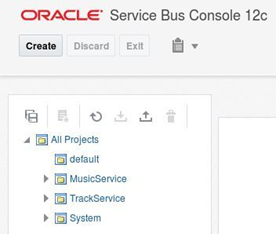 Before we dive into the OSBServiceExplorer tool , first I give you some detail information of the “TrackService” (from JDeveloper), that will be used as an example in this article. Read the complete article here. For developers, installing a full blown local SOA Suite environment has never been a favorite (except for a select few). It is time consuming and requires you to download and run various installers after each other. If you want to start clean (and you haven’t taken precautions), it could be you have to start all over again. There is a new and easy way to get a SOA Suite environment up and running without downloading any installers in only a couple of commands without depending on scripts provided by any party other than Oracle. The resulting environment is an Oracle Enterprise Edition database, an Admin Server and a Managed Server. All of them running in separate Docker containers with ports exposed to the host. The 3 containers can run together within an 8Gb RAM VM. The documentation Oracle provides in its Container Registry for the SOA Suite images, should be used as base, but since you will encounter some errors if you follow it, you can use this blog post to help you solve them quickly. During the 11g times, a developer, if he wanted to run a local environment, he needed to install a database (usually XE), WebLogic Server, SOA Infrastructure, run the Repository Creation Utility (RCU) and one or more of SOA, BPM, OSB. In 12c, the SOA Suite QuickStart was introduced. The QuickStart uses an Apache Derby database instead of the Oracle database and lacks features like ESS, split Admin Server / Managed Server, NodeManager and several other features, making this environment not really comparable to customer environments. If you wanted to install a standalone version, you still needed to go through all the manual steps or automate them yourself (with response files for the installers and WLST files for domain creation). As an alternative, during these times, Oracle has been so kind as to provide VirtualBox images (like this one or this one) with everything pre-installed. For more complex set-ups Edwin Biemond / Lucas Jellema have provided Vagrant files and blog posts to quickly create a 12c environment. Read the complete article here. In Oracle E-Business Suite Release 12.2, Integrated SOA Gateway (ISG) uses Oracle SOA Suite and its E-Business Suite Adapter for SOAP based web services. 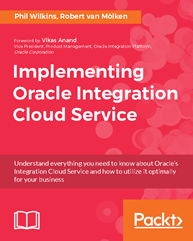 Now, with Oracle E-Business Suite on Oracle Cloud, you can configure ISG to use Oracle SOA Cloud Service and its E-Business Suite Adapter for SOAP based web services. 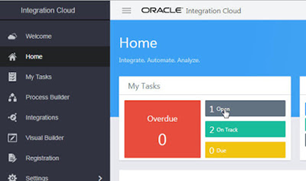 If you are new to running Oracle E-Business Suite on Oracle’s Cloud Infrastructure, please refer to the Oracle E-Business Suite on Oracle Cloud Landing Page for any introduction needed. 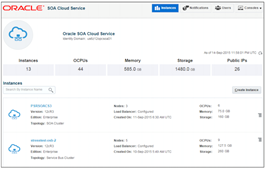 What is Oracle SOA Cloud Service? Oracle SOA Suite is a comprehensive service infrastructure that lets you build, deploy and manage integration following the concepts of service-oriented architecture (SOA). Oracle SOA Cloud Service is an integration Platform as a Service (iPaaS) offering that provides Oracle SOA Suite and other related SOA components in Oracle Cloud. Oracle SOA Cloud Service supports multiple service types that provide one or more SOA components as services. For EBS ISG SOAP services, you would be using a service type that includes SOA Suite. Read the complete article here. Click on Details tab. Once click on Details tab, you will notice Certificate Chain (Root, Intermediate & Leaf) Read the complete article here. The Integration Cloud documentation does contain these in relevant sections. This blog intends to present only the file-based tools and techniques of Integration Cloud as a single point of easy reference. However, based on the product versions, feature sets could be slightly different across these product offerings. Refer to the respective documentation links for more details. We will talk about mainly FTP adapter, File Adapter and their various available options for developers. A short section on SOAP and REST adapters in the context of attachments. We will also see other Integration Cloud constructs like Stage File and some Mapper functions which are vital for designing file handling solutions. In addition, the SOAP and REST Connections also provide file attachment features and hence help us design flows for sending and receiving file content over SOAP and REST interfaces. For the smaller customers where they’re generating less than 5000 Messages per hour (think Integration triggers where each message is <50k – which is fairly big for most needs. Although be aware but moving large files is going to eat through your messages as the transfer cost is file size / 50k = no. messages used (consumed or sent), of effectively 250MB per hour. The autonomous option is a no brainer for smaller use cases in terms of cost as it means on current pricing you have your integrations operating for a lot less than £500 per month (£0.5867 x 24 x 30 – using standard with the flex scheme – https://cloud.oracle.com/en_US/OIC/pricing). With that the SaaS adaptors are also included – that means you could operate say Workday to Oracle Financials for an SME without much problem. Read the complete article here. 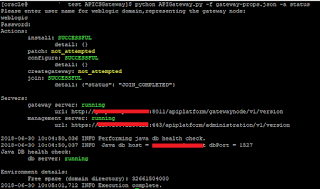 In our previous blog, we have showcased how to install API Cloud Service physical gateway. In this blog, we’ll execute some useful commands. For instance, how to start, stop and check status of the physical gateway. Enter username and password of the Physical gateway which was given during installation. Read the complete article here.